Hydrogen Technology and Energy Corp. in British Columbia is building a hydrogen fuelling station and educational centre in California that will open in less than two months and will soon begin construction on the first public hydrogen fuelling station in Canada. HTEC Director of Corporate Development Jeff Grant told Automotive News Canada the company is building a station in Woodside, Calif., in the heart of Silicon Valley. It will be operational in about four to six weeks and will be partnered with a private owner. In addition to the fuelling station, HTEC is building an educational centre on the property to teach people about hydrogen and fuel cell technology. “We had to do some prospecting and we found a landlord that was willing to host our equipment and it was in a high-value area in terms of early adopters for fuel-cell vehicles and essentially won a California Energy Commission award to deploy equipment,” Grant said. The company is currently in pre-construction of a public facility that is expected to be operational in Vancouver later this year or early in 2018. The station will be part of a network of six stations HTEC will build in the next two to three years, primarily in the B.C. Lower Mainland, although one is planned for Victoria. Two additional stations are planned to be built and in operation in 2018 and three to follow in 2019. HTEC built and operated a hydrogen fuelling station in North Vancouver several years ago for pickup trucks as part of a demonstration program. “We had dabbled in hydrogen infrastructure, owning and operating a station, but this is our first foray into a full retail operation,” Grant said. “Obviously, we’ve learned a lot and we’re taking those lessons and applying them to what we’re doing in the Lower Mainland with this network we’re working on. “This is very significant because this is the first retail fuelling station in Canada and it begins to put Canada on the same footing as Japan, Germany and California, which already have large volumes of fuelling stations. The thing about hydrogen and fuel cells in Canada and British Columbia is that we’re the world leaders in developing fuel-cell technology and hydrogen infrastructure. Powertech Labs in Surrey has a fuelling station on its property, but it is not a traditional retail fuelling station like HTEC is building. 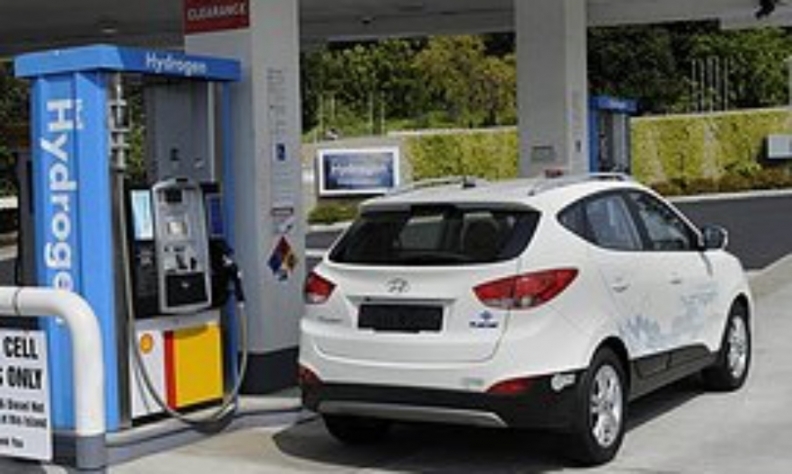 Don Romano, President and CEO of Hyundai Auto Canada Corp., said the hydrogen fuelling stations will help to create more sales of hydrogen vehicles.